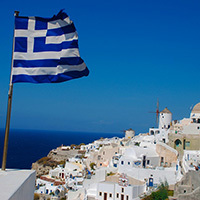 Attend an information session for CE’s spring trip to Greece 5:30 to 7 p.m., Thursday, January 11 or Wednesday, January 17 in room 408 or 5:30 to 7 p.m., Thursday, January 25 in room 219. The trip is May 5-19, 2018. For more information, call 505-428-1676 or email maria.montoya3@sfcc.edu. See the press release for more information.